Sad news comes that pianist Van Cliburn has passed away this morning in Fort Worth, TX. He was 78 years old. I was a Van Cliburn fan from an early age. He was the first world-class pianist I ever knew by name, thanks to my parents owning his LP (yes, vinyl 33-1/3) of Rachmaninoff’s “Rhapsody on a Theme of Paganini.” I listened to that thing endlessly. When I eventually went shopping for my very first bunch of CDs, included in that three-disc purchase was his recording of the Tchaikovsky First and Rachmaninoff Second concertos. 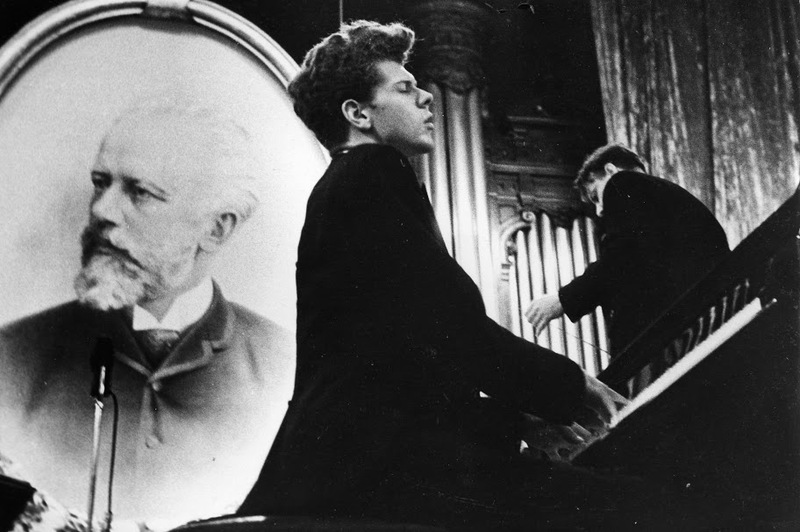 Born Harvey Levan Cliburn in 1934, he burst onto the world’s musical scene in 1958 when he won the gold medal in the inaugural Tchaikovsky International Competition in Moscow. Given the Cold War political backdrop, the notion of an American winning a prestigious competition in what was then the Soviet Union helped to turn him into a mega-celebrity. It isn’t an exaggeration to say that he helped to end the Cold War many years later: at the end of a performance for a White House state dinner where Mikhail and Raisa Gorbachev were the honored guests of President and Mrs. Ronald Reagan, Mr. Cliburn began to croon “Moscow Nights” in Russian — much to the delight of the Soviet dignitaries in attendance, most of whom, including the Soviet leader, sang along. Full obituaries from the Ft. Worth Star-Telegram (HERE), the Los Angeles Times (HERE), and The New York Times (HERE). Tags: Mikhaul Gorbachev, obituary, Ronald Reagan, Tchaikovsky competition, Van Cliburn. Bookmark the permalink. My favorite was his LP I think with Eugine Ormandy/Philladelphia Orchestra was Brahms 2nd Piano Concerto which played endlessly along with Issac Stern/the Violin Concerto in the early 60’s on a steeo my brother built. To put things into musical broadcast perspective, to get stereo the left channel was broadcast on an AM frequency and the right channel came in over an FM channel. We’ve come a long way yet Van Cliburn’s performances from way back then live on with many of us today. May he rest in peace, he will not be forgotten.